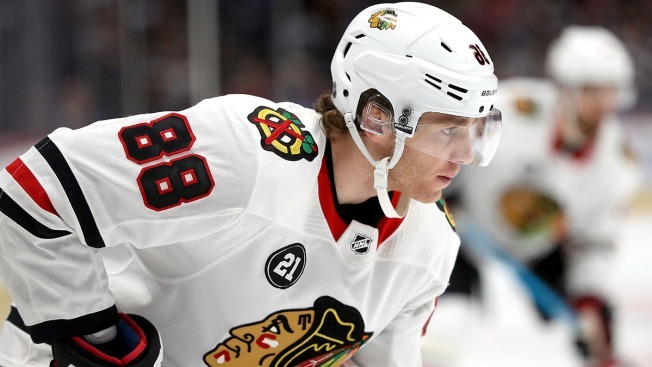 With their playoff hopes rapidly dwindling, the Chicago Blackhawks will face a tough test as they take on the San Jose Sharks on Thursday night. The Blackhawks, seven points out of the second wild card spot in the Western Conference with just six games remaining, are trying to avoid missing the postseason for the second straight year, but their climb is an uphill one as they take the ice at the Shark Tank. The team’s lineup will remain unchanged from their 1-0 loss to the Arizona Coyotes on Tuesday night. Alex DeBrincat will remain on the top line with Jonathan Toews and Patrick Kane, and Slater Koekkoek will remain on the blue line, playing alongside Connor Murphy. Corey Crawford is expected to get yet another start for the Blackhawks as he celebrates being named as the team’s finalist for the Masterton Trophy on Thursday. Crawford has battled back from a pair of concussions this season, and has been turning in some great performances of late for the squad. Puck drop is slated for 9:30 p.m., and the game will air on NBC Sports Chicago.